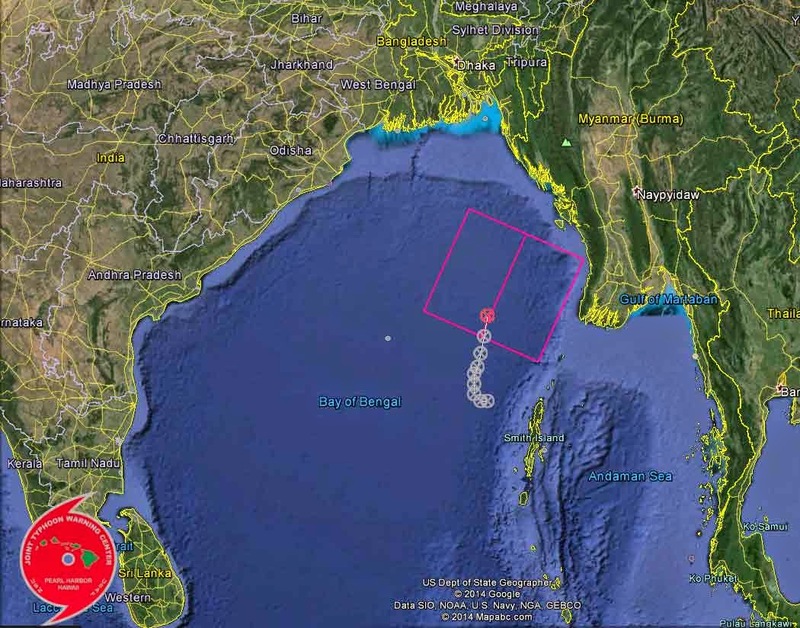 The TRMM website is one of the many that STH uses while keeping a track of the storms that brew up in the Bay of Bengal. 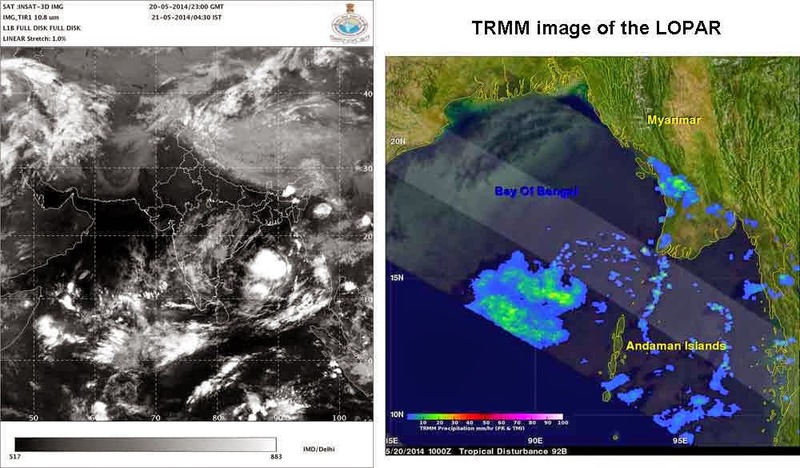 Placed below is an image juxtaposing the latest image of the storm taken from IMD with that on the TRMM website. The low pressure area over eastcentral Bay of Bengal & neighbourhood concentrated into depression at 0830 hours IST of today, the 21st May 2014 near latitude 15.5°N and longitude 90.5°E over eastcentral Bay of Bengal, about 490 km north­northwest of Port Blair.